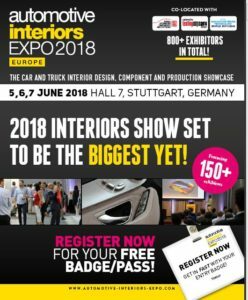 The world largest specialized fair on automotive interiors opens its doors in Stuttgart from 2018, june 5th to 7th. Oshino lamps shows most recent applications of car ambient illuminations. It is worth to share a visit at OSHINO’s boot A5240.